Nowaki growled as he plopped back onto the bed, wondering how and when their family would actually be back together for more than four months at a time. Locked into the third film of the Seventh series upon sign on for the first one in 2004, he was quite glad that Ecthelion made his exit in this film, and as of book thirteen, just released in July [curiously in conjunction with his end of filming for Warriors of the Seventh Star], his character thus far had not been resurrected. Thank the heavens for that, he thought. Though it has been long since I have had Tsu-kun and Xavier home—either home—at the same time. I miss them intensely. “Don’t sound so excited to hear from me, otōto! I call bearing great news!” Shohei cried out, joy radiating across the line to lift Nowaki’s lips slightly. “Okay, okay… my apologies, nii-san. 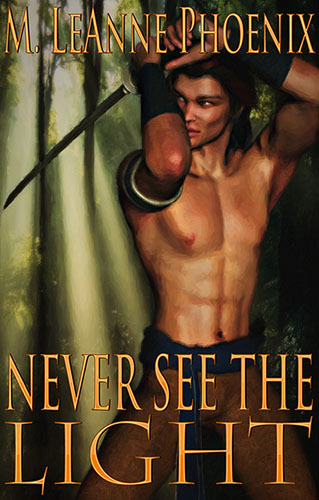 Tell me your great news.” Nowaki rolled onto his back again, throwing his arm over his eyes. “Ah, okay. Xavier is who you were hoping I was when you answered your mobile, huh?” Shohei replied, keeping his voice low and calming. “Miss you, too, nii-san!” Nowaki hung up the phone and tossed it onto the bed as he got out of it. “You picked the wrong day to be persistent, jackass,” he hissed as he threw open the hotel room door only to find himself pinned to the hall wall, a treasured chuckle next to his ear as Xavier’s teeth tugged on the rim. “Well… he asked me to marry him twice more. Once in Wales—where we picked up a second civil partnership—and I don’t know if you’ve been paying attention to the news, but California is back in the business of marrying everyone again, so we thought a wedding in the gardens was in order. What do you think?” Nowaki answered, wrapping his arm around his son’s shoulders. “He said his last name was MacKenzie, didn’t he?” Xavier murmured as they got into the car, and he wrapped around Nowaki, pressing a kiss to his hair. “Yes, he did, but the MacKenzie adopted him when he found him on his doorstep one August morning. OB wanted to know more about the people who put him with that loving family.” Leith gave another hug to Tetsuo before the young man dove into the car, laying his face against Nowaki’s thigh as he sprawled on the seat beside them. You do need to see a doctor. Masanori-san has been telling you to do so since your thirtieth birthday, Nowaki-san. Better to be safe than sorry. Remember what Hoshi-san’s death did to your Oto-san and your son is correct: it’s a well-known fact that cancer can be passed on genetically. Nowaki blinked at the sound of Leith’s voice in his head as his fingers pushed through Tetsuo’s silky hair, his gaze catching the wink in the rear view mirror. Yes, I’m in your head and were you to find out something negative, I would assist you and yours in preventative thinking. I owe you that much at the very least. “Chichi… daisuke!” Tetsuo’s voice was airy, giving testament to the long days the boy put in to honing his craft, and Nowaki knew that he would soon be asleep. “Judah’s my age, isn’t he? I mean, I know that Brandon is three years older than me, but I thought Judah was in that area—” Nowaki interjected, settling his chin on Xavier’s chest. Nowaki’s eyes opened next on a window looking out over the sea, but the air wasn’t as heavy as it had previously been in California, and the breeze coming from the cottage-styled window was much cooler. Where the hell am I? I was just about to get on a plane and now I’m somewhere where the word “cottage” applies in description? “How many times do I have to tell you and Tsu-kun that I’m not dying and that I’m perfectly fine?” Nowaki groused, shoving a hand through his jet hair. “I take very good care of myself because Kaa-chan almost died of cancer, and I cannot be—nor will I ever—leaving you.” Walking on his knees to the end of the feather bed, Nowaki motioned Xavier to him. Nothing looks remotely familiar. I’ve never seen this room before, nor that view out the window. “You know I do, koibito! Why won’t you tell me about my results?” Nowaki’s heart clenched and his stomach did flip flops. “You said that the Kenniths are awaiting my answer. My answer to what?” Nowaki held a little closer to Xavier, terror filling his veins at the very real possibility that Death was staring him in the face. All he could think about was the malignant tumor in his brain and suddenly all he could think about was did it look the way it did in the movie about the English kid and the greeting cards? But will I get the miracle that kid did? “I am allowed to accompany you down to the beach if your answer is yes, and before you ask, you have to say yes without knowing what exactly is entailed, that this is your trust fall. They will only offer this gift once, that should you think about it, you will realize that what your answer is to lies in the oath.” Xavier’s fingertips lightly massaged the base of Nowaki’s skull. “Oath? What oath? The only oaths I’ve made are to you, to love you forever, to find forever with you, but surely—” Nowaki stopped, blinking as he turned over the possibility. Prime of your life. Eradicate all imperfections. Make your body impervious. “Not an answer, my pulchritudinous rainstorm… yes or no,” Xavier chided as his chin quivered when he tried to smile at Nowaki. The stunning man in a royal blue suit stepped forward, pushing the golden waterfall of his hair over his shoulder as his brilliant eyes, accented by the color of his suit, sparkled. Catching Nowaki as he lost his balance, his mellifluous voice calmed Nowaki’s heart. While it did not hurt, whatever Mel did to his shoulders did not feel in any way comfortable, though it did not take long and by the end of it, Nowaki felt such a difference on a physical level, that it was easy to see that his rundown state had not been just from working too much. I was really sick… as in that tumor was no small thing; it affected every part of me. Why didn’t I just go see the doctor the first time Chichi told me to do so? Nowaki’s tongue darted out to wet his lower lip as he held Xavier’s gaze, seeing what his husband must have seen while watching him, as what looked to be every single cell in Xavier almost glowed with a white light from deep within, shining out his eyes like the sun through a stained glass window. “Totemo utsukushii…” he breathed as the light ebbed and he felt Mel’s hands return to his shoulders. Without another word, two flashes of light passed through them simultaneously, slamming into one another in the middle to fuse briefly before settling in their shoulders. Nowaki shuddered as he felt them take root and explode into life. At his husband’s sharp intake of air, he looked up to see a small smile on his face and he called his name in a soft voice. Xavier turned his gaze to Nowaki’s as he brought Nowaki’s mouth to his own as he echoed Nowaki’s earlier sentiment. “So what day are you flying out? I’ll put it in my mobile so I don’t forget.” Nowaki pointed out one of his suitcases to OB and Tetsuo. “Looks like it’s going to be this Friday… the 11th. Lindsay said she’s okay to pick me up from the airport and I’ve heard tell that we’re going to dinner with her brother, but I’ll let you know, okay? Maybe we can all get together for breakfast or lunch on Saturday?” Emrys suggested. The drive wasn’t as long as he expected, but then again, they made it before rush hour started on a Monday, and he was able to doze as he listened to the boys chatter about work and Emrys Marlowe. Nowaki found it kind of ironic that OB wasn’t much of a fan, though he supposed it would make him better friends with the man. Having not seen The Keeper of the Seventh Gate, Nowaki gave him some slack and as they were getting out of the car suggested that they watch it while he slept. “After that, tell me if you don’t appreciate his craft, OB. Emrys is a better actor than I am, and he’s gotten even better since Keeper.” And with a yawn, he disappeared into his bedroom to fall on the bed fully clothed, eyes closing as he pushed his face into Xavier’s pillow, seeking blissful slumber. Four days to his arms… Xavier, I miss you already!